Fans that are able to move high volumes of air are extremely valuable when it comes to any water damage restoration project. 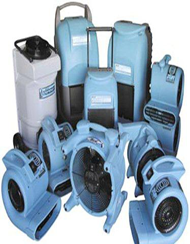 Using the powerful fans we have available for rent, you will be able to dry water damaged areas quickly. All units are portable and can dry carpets, hard floors, upholstery, and walls.